Fire sprinkler testing and inspection is a requirement for residential, commercial, and industrial properties in Portland. Often, you will see some required testing described as Portland 3A fire sprinkler testing and inspection. This name is due to the Form 3-A that must be filled out to show the testing has taken place. 3A is required by the city every year and tests general functionality of fire sprinklers. Testing of fire sprinkler systems is required in Portland because of the life-saving reliance we place on fire suppression technology. 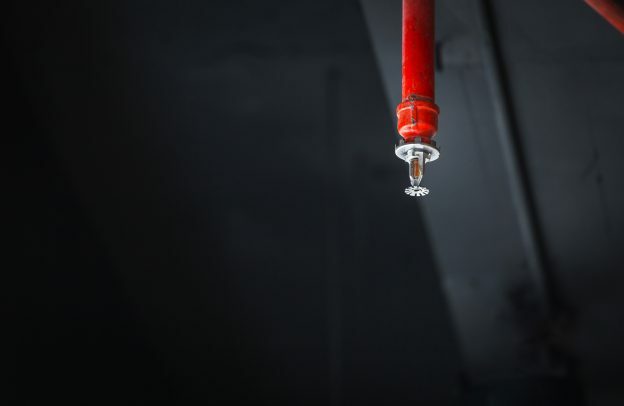 Fire sprinklers don’t get use except when they are needed in a fire, so it is crucial that they be tested to ensure that they are ready to perform when they are needed to. During a 3A inspection, the date, location, inspector and type of system is noted. The specific location of the main control valve is noted. Questions will be asked and documented such as whether the system has been modified since the last inspection. Valves and the water supply is examined. If any additive is used on the system, that is noted. Pumps are inspected and so is the detection system, if there is one. The Portland 3A fire sprinkler testing and inspection form looks simple but is very specific about certain things, such as whether or not operating instructions for the fire sprinkler system are posted. If you avoid or miss your fire sprinkler test, Portland officials will know! The national guidelines for testing indicate that tests must be performed on a regular basis. Documentation will show that a test was missed. State laws prohibit the use of buildings without proper equipment and testing. Plus, if testing and inspection is not performed on a regular basis. Your fire sprinkler system may not work when it is supposed to and a serious catastrophe could occur. It may be tempting to do some testing or maintenance yourself, but that is not recommended. Fire sprinkler systems can be complex and only trained technicians are permitted to perform the testing, maintenance and inspection. AFP would like to be your trusted source for information on Portland 3A fire sprinkler testing and inspection. Get in touch with us if you have any questions or aren’t sure who to call to schedule your required testing. We’re here to help!